Social media has the power to do more than just help brands promote products. It also has the ability to connect with people globally on an emotional level. 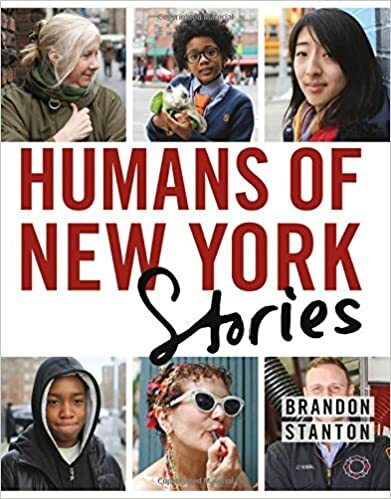 Brandon Stanton, the creator of Humans of New York (HONY) uses his social media channels for that purpose. HONY’s website consists of the photos and stories that are published to his social media accounts. He currently does not have a blog and the website does not sell any product or services nor does it partner with any other organization. Well, what’s the purpose of the social media channels? HONY markets a human experience through photos and text from the subjects that people can relate to. HONY focuses on a few social media channels, Facebook (15 million fans), Instagram (4 million fans) Twitter (363K followers) and Tumblr. For those reading who have never heard of Humans of New York: Brandon Stanton, 31 was a laid off bond trader from Chicago who enjoyed photography. In 2010, he moved to New York City without knowing anyone but thought it would be pretty cool to take photos of 10,000 New Yorkers and place them on an interactive map. He started a Humans of New York website and blog. Unfortunately in the beginning he was only posting photos. After several months, he began interviewing his subjects, asking them about their lives, struggles, disappointments and their hopes. This content resonated with people around the globe and through their likes and shares his work went viral. Most companies use social media to drive traffic to their website as part of an overall marketing campaign but the uniqueness of HONY is there is no marketing campaign to speak of. In the 5 years since the launch he has released 2 hardcover books made up of content posted to his social media accounts. He will post a photo of the book cover with a link to amazon where readers are redirected to amazon website where they can purchase the book. His first book Humans of New York was released in 2013, had 33,000 pre-orders and was number 1 on the NY Times best seller list list for 28 weeks. On October 13, 2015 he released his second book Humans of New York Stories and it is already on the NY Times best seller list. With the success of these publications we will see future books from Brandon Stanton focus on other countries such as Iran, Iraq and Parkistan. Since readers know there is no real marketing campaign from HONY on social media, when he does ask for help his fans and followers are more than happy to help. Through their conversation and subsequent interviews with the principal at the school a fundraiser was set up so the grade 6 students could visit Harvard University. Brandon posted the fundraiser on his social media accounts asking fans and followers to “Let’s send kids to Harvard”. The original goal was $100,000 which would be enough for 3 grade 6 classes to visit Harvard for the next 3 years. The fundraiser exceeded that goal within 45 minutes and eventually $1.4 million was raised. With the success of the fundraiser, not only can the grade 6 class visit Harvard as part of the curriculum, they also started a summer program and a scholarship fund which was named after Vidal. As a result of this social media campaign, Brandon, Vidal and the principal Ms. Lopez were invited to the White House to visit the President. This is a big deal for a kid from Brownsville who was reminded that “he does matter”. Through marketing his books to helping a community HONY has shown us how to harness the power of social media. Stanton said his first idea was to post all 10,000 portraits on an interactive map of the city. Think about that for a second — even taking 10 portraits a day, every day, without a break would be a two-year-plus project. You don’t set out to do something like that unless you’re utterly passionate about the idea. But he adapted his vision when he saw how his audience responded. The path of HONY has been a constant process of ditching what’s not working, and doubling down on what’s working,” he said in the AMA. “Prime example: I noticed that social media was where my growth was. So I removed my ‘free-standing’ website, and began hosting 100 percent of my content on social media. As another example, Stanton said he noticed that when people commented on or shared his photographs, the captions and stories were as important as the photos themselves. Stanton’s photographs are interesting, but as he said, it’s the captions and stories that keep the audience coming. It constantly amazes me how brave these people are, and how much they choose to disclose. … You know why I think that is? Because so much of our life revolves around small talk. Weather, finances, things like that. And here comes somebody on the street really digging at the marrow of your life, and your experience. I think it’s validating in a deep sort of way. The blog has enough fame on the streets of New York that some subjects shoot his go-to questions right back to him. Stanton nearly went broke during the early days of HONY and told Reddit those times were “lonely as hell.” Thousands of photos into the project, nobody had noticed, and he didn’t really know anyone in New York. “Every time I talk about it in a speech I start crying,” he said. “I’d been working on HONY everyday, non-stop, for a year before it got any traction at all. So why did he stick with it? To contact the author of this entry please email: lynn.jeffries@sympatico.ca.